How CT Scans Have Raised Kids' Risk For Future Cancer : Shots - Health News Children are getting too many CT scans, a study says, and that's boosting their risk of cancer later on. Parents can ask for alternatives like ultrasound and MRI or ask for CT scans that use less radiation. 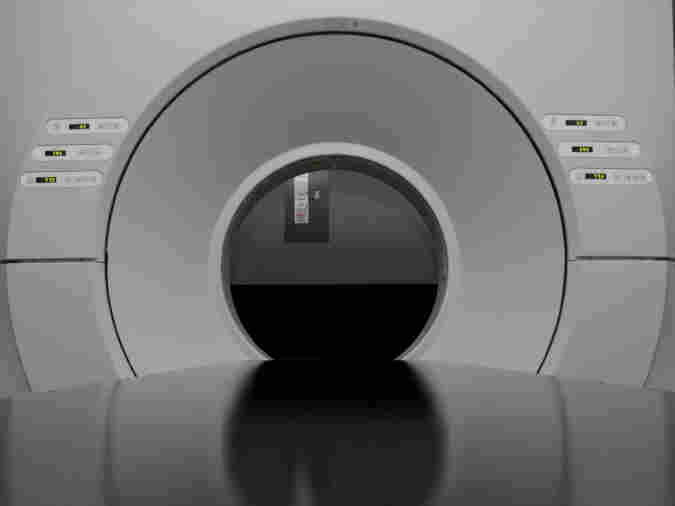 Use of CT scans has doubled for children under five and tripled for older children. Doctors are prescribing too many CT scans for children, a study says, even though they know that the radiation used in the tests increases children's lifelong risk of cancer. Choosing other tests and dialing back the radiation used in the scans would prevent 62 percent of related cancers, according to Diana Miglioretti, a biostatistician at the University of California, Davis, who led the study. The use of CT, or computed tomography, scans which let doctors see soft tissue, more than doubled in children under 14 from 1996 to 2010. The cancer risk is highest for children undergoing abdominal scans; those were also the scans that involved the most radiation. For girls, 1 in 300 to 400 abdominal scans would cause a solid cancer later in life. For boys, the number is 1 in 700 to 800. The risk of getting leukemia after a head scan, the most common form of CT for children, is about 2 per 10,000 scans for children under age 5, the study found. Doctors have long known that X-rays cause cancer and that children face a greater risk than adults. But only in the past few years have they amassed evidence on how the huge increase in use of CTs is affecting health. CT scanners use 100 to 500 times more radiation than a conventional X-ray. A study last year found that children who had a CT before age 22 had a slightly higher risk of leukemia and brain tumors. Doctors do have alternatives, Miglioretti says, and parents should ask for them. Ultrasound machines and MRI scanners can be as good as CT in detecting appendicitis, she says. Neither of those alternatives use X-ray radiation, the kind that can damage genetic material. Plan old doctoring works, too. The most common CT scan in children is a head scan, given after a blow to the head, Miglioretti says. "There's medical evidence that if you do a thorough exam and follow the rules you can avoid a lot of these scans for head trauma," she says. A lot of the CT scans used way more radiation than was needed, Miglioretti and her colleagues found. They discovered that by pulling 744 scans from patient records in group health plans, a task she says was painful but necessary. Reducing the highest 25 percent of doses could prevent 43 percent of CT-caused cancers, the researchers say. The results were published in JAMA Pediatrics. A slew of medical societies back the Image Gently campaign, which provides family-friendly information on radiation doses and procedures. There's also a card parents can use to keep track of their children's cumulative radiation exposure. Among other risks, scanning also raise the odds that doctors will finding something abnormal but not dangerous, an editorial that accompanied the study points out. These "incidentalomas" can lead to more testing and treatments, with no benefit and potential harm. Parents should "ask not only what a proposed imaging test is intended to detect but, more importantly, how such detection would help their child," the doctors who wrote the commentary recommend. The number of CT scans of children stopped rising in 2007, which may reflect the fact that doctors are getting the message on the risks.